We have no shortage of dog beds around here. We even have extras that I don’t have a place for in the new house. There are three in the dining room, two in our bedroom, one in our master bedroom closet (Luke’s hangout), and one in my office. That doesn’t count Sam’s cat beds either. Disclosure: We were provided with one Molly Mutt bed and bolster pillow free of charge in exchange for this review, but were in no other way compensated. Wag ‘n Woof Pets only shares products we believe will be of interest to our readers, and all reviews are our own honest opinions. Molly Mutt is not responsible for the content of this article. I am happy enough with the beds we have but when given an opportunity to try out the Molly Mutt dog bed, I just couldn’t pass it up. I had seen them on other blogs and knew they had something that our current beds did not have – extra style, and a bolster pillow that I knew the dogs would love. Our current beds met other needs – my number one need is that they be easy to clean, but this K9 Crew loves to rest their heads on pillows and our beds only have a slight raised edge. I’d had other beds that had that edge they love, but those were SO difficult to keep clean. They were machine washable, but you had to pull the inserts out and they were not easy to get back in. Molly Mutt beds cover all those issues, and on top of that add another element that I love – “upcycling”. We care about the environment around here and we do our best not to be wasteful. When we moved recently I had BAGS of old clothes and sheets. Every season I would clean out my clothes, give away what was in good condition that I just didn’t wear, and use the stained, torn or worn clothes for cleaning rags. Our humane society would take old sheets, but they didn’t want the fitted ones because of the elastic in them, and I always use our flat sheets to throw over our bed quilt to help keep that clean when the dogs sleep on it. I don’t even want to tell you how many of those bags of rags we threw out when we moved. I cringe to think of it, especially when I know now what good use I could have put them to! It is truly that simple. My only problem was the fact that we had thrown out that old stuff! But I still had many sheets and pillowcases that had come with us to use until I could get new ones that we needed. We have the medium/large bed and I stuffed it with 5 old sheets, and the bolster pillow pack with 7 old pillowcases. After the dogs had lain on it for a bit, it flattened out some so I then added two old crate pads that I know longer used to fluff it back up some! It’s as easy as 1, 2, 3. Make sure you have your K9 assistant on “stand-by” though, in case you need help. In lower right, see how the bolster pillow has velcro to secure it around the bed. Of course, the most important thing is: do the dogs love it? Luke wasted no time in climbing on to help me get my first photos (he is such a good model, it’s like he knows!). A handsome mutt like me needs a stylish bed! After that Cricket decided to take it over. Our little beagle loves it! The bolster pillow is exactly what she adores. At night, in our bed, she has to be tucked up against someone’s legs in order to sleep. This gives her that same secure, cozy feeling. So many different ways to get comfortable! The first time she got on it, she had to give it the old “scratch over” to be sure it was to her comfort and liking. Do your dogs do that? I’m happy to say that the material of this bed is not only 100% cotton, it’s durable and her scratching didn’t do any harm to it at all. We’re all happy – I have an easy to wash and clean bed, that I can feel good about using because of the upcycling aspect. I also have a beautifully stylish bed that goes perfect with the décor of my new house. I was able to find a bed with colors that go exactly with my long term decorating plans for our living/dining room area. The dogs have a cozy bed with a much loved pillow that has our lingering scent so they feel secure. The beds come in 5 different sizes and 25+ patterns. We chose the “Amarillo by Morning” pattern. Each bed comes with a free stuff sack and you can order the bed and pillow as a set. 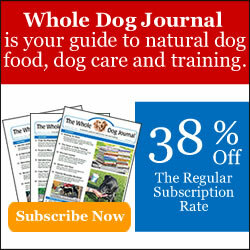 Shipping is free in the continental USA; and they carry many other dog products as well. By the way? Don’t let the name fool you – Cricket says that she is no mutt, she’s a purebred beagle, but she has taken that bed over completely! Whether you have a mutt or a purebred (it doesn’t matter, we love them all! ), don’t you think your dog would love this bed also? Now you have a chance to win one! You will have your choice of size and pattern for a bed, and receive a bolster pillow as well! Just enter our Rafflecopter giveaway below. Good luck! You can also find Molly Mutt on Facebook, Instagram and Pinterest. I did find some nice dog beds reasonably priced at BJ’s. They have the pillow bolster on two sides, so I picked up two of them. Both the bed and bolster come out fairly easily so you can wash the covering. But I do love the idea of stuffing their bed with your scented items. Your dogs look like they are really enjoying it. Cricket really does especially love it. Sheba is on it right now, and I think it’s the first time I’ve seen her on it! Cricket is usually hogging it so she doesn’t get a chance. 🙂 I may have to get another smaller one sometime. I have been coveting one of these for months! I like the bleecker street and rocketman one. Of course we’re painting soon… so who knows what will go with the decor! My boys would love the new theory duvet or the I don’t like Mondays duvet. Great selection. I love the dream lover duvet. Super cute! Your hand in mine is our favorite! I love the midnight train duvet. Thanks! Many great choices, but I like Your hand in mine and rocketman the best. “Your hand in mine” pattern. Oh my goodness the crate covers! I think im going to buy one maybe 2. I can get his name printed on it too! Thank you for posting! I love this! You’re very welcome – so glad you love them! I know, the crate covers are great, what a way to dress the crates up and make them cozier too! My favorite is the bleecker street duvet. I like the Royal duvet. I like the green one with the dogs on it duvet? Oh no, poor Bella! I hope her surgery and recovery go very well. A new cozy bed would definitely be in order to keep her comfy. Good luck in the giveaway! Thanks! Bella Thanks you too!???? Love the Romeo and Juliet or Landslide! What a great idea!! My 17 year old baby would love this! Ultimate comfort! I’m a realist or landslide, they have so many cute patterns! And I love the clever names they’ve come up with them too! They actually do show a cat on one of the petite size beds so I bet it would be a hit with Soth! Some of the names are great, aren’t they? That is definitely a pretty one, I love the colors and pattern. Very clever and cool. The dogs look like they are really enjoying theirs. I like the dew in the grass outside cover. I think we need an outside one too. Sheba and Luke will lie anywhere outside for quite a while but Cricket will only last so long before she wants to come inside to a soft bed! This would be a great bed for Ducky’s crate!! And for anywhere else in the house, too! They sure look very comfy on the bed! I like the nightswimming duvet. there are 2 that i really like the “lady in red” and the “rough gem”. I like the dream lover duvet – small cover! Although I bought an extra bed when adopting Luna, we still seem to have a shortage. It’s amazing how many you actually need! This bed looks ideal! You truly cannot have too many beds! Do you think something in orange (it’s kind of my signature color) would convince the cats that this is for me, not them? Everyone else seems to think its soooooo funny when Jasper steals my dog bed! My favorite is PIGGIES!!! That is my favorite print! Oh, I hadn’t seen that one – it is SO CUTE! I love the nightswimming duvet. or maybe its just the cute cover model! We agree, Ernie! We might get Sam her own at some point too – we know you cats just love to curl up in cozy places too. They are all great but the Royals duvet is very nice! AWESOME! WANT THE PURPLE ONE FOR MY DOG! THANKS! I really like the midnight train duvet. My dogs would love one of these beds. I really like the boxer for the pillow and title track for the duvet cover. Oh wow, what a clever idea! I really liked the “Your Hand In Mine” & the “Lions Roar” patterns. My pup Missy loves resting her head on something, so I could really see her getting a good snooze on the Molly Mutt bed. The Royals Duvet is really a nice one. I guess probablly because I like purple. Now THIS looks like a bed that Dakota would actually USE! He isn’t big on beds, but this style I am thinking he might like. I like the plaid one! Cricket sure seems to love it! We love ours. I sleep on it at night a lot as it is upstairs in one of the bedrooms. My favorite pattern is “Perfect Afternoon”. The Romeo and Juliet pattern is my favorite. That would be perfect for Torrey. She needs a new bed too. My Alex would love it. He likes to put his head on pillows. That is one nifty idea for a dog bed…using old clothes and such as stuffing! I am not surprised the dogs LOVED it! These look really nice. My big thing is how they wash. My 3 beagles would love the pillow, they rest their heads on the arm of the couch. I already know, I love the Bleecker Street pattern, I went and looked anyway! I want to get Milo the duvet and a crate cover to match. My favorite is the new theory duvet. What a great idea! I might have to start saving all those carcasses now (don’t tell the dogs I ever threw any away though….)! I like the dream lover duvet.